In addition to providing employment for local artists, revenues generated from the theatre performances are used to support a variety of school and community projects. We welcome donations in support of these programs. Click on any project for more details. LiPAF has recently introduced a school sponsorship program for those wishing to sponsor a child in school. Read more about this initiative and how you can help by clicking on the picture. Linda West Basic School has 1400 students who share 116 desks. In 2007, LiPAF provided funds to repair the school’s toilets and we recently installed a bore hole to provide the school with clean drinking water. The Faagros Sports Academy was started by ex-football player Fabian Chitambala over 10 years ago. Today he has more than 100 boys of all ages playing on soccer teams. In 2006, LiPAF raised funds in Canada to buy a team bus for Faagros. In addition we have provided the teams with soccer balls and several sets of uniforms. LiPAF has purchased a 17 acre tract of land which has been planted with a variety of vegetables. 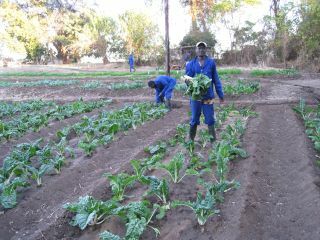 The farm provides employment for six full-time farm hands and several part-time employees. Farm profits will sponsor school children. 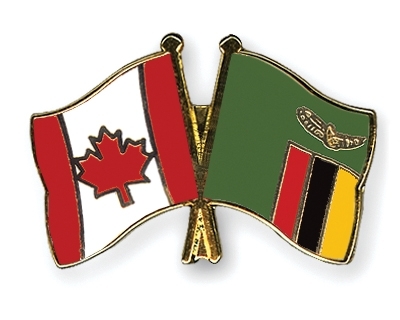 Our pen pal program has matched over 50 Zambian youth with Canadian counterparts who are writing and learning from each other. 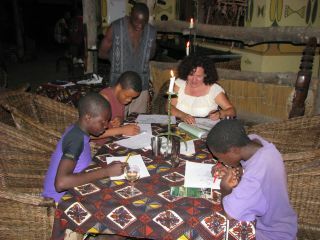 Many Canadian pen pals have also provided school kits for the students in Zambia. If you would like to become a pen pal with someone in Zambia, please download the Pen Pals form and send it to us. The children of Zambia love to draw and paint pictures. LiPAF has provided instruction and art supplies for many children.